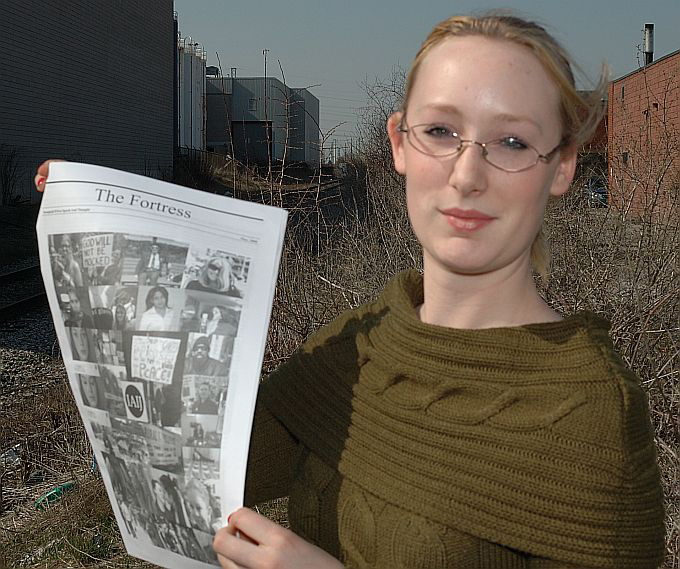 Fortress Of Freedom Board :: View topic - Fortress Newspaper Sent to National Archives! Fortress Newspaper Sent to National Archives! Posted: Sun Mar 27, 2011 12:29 pm Post subject: Fortress Newspaper Sent to National Archives! IAIJ and FOF Corp. are excited to announce that The Fortress Newspaper has been asked to submit copies of the paper to our own National Archives for posterity! 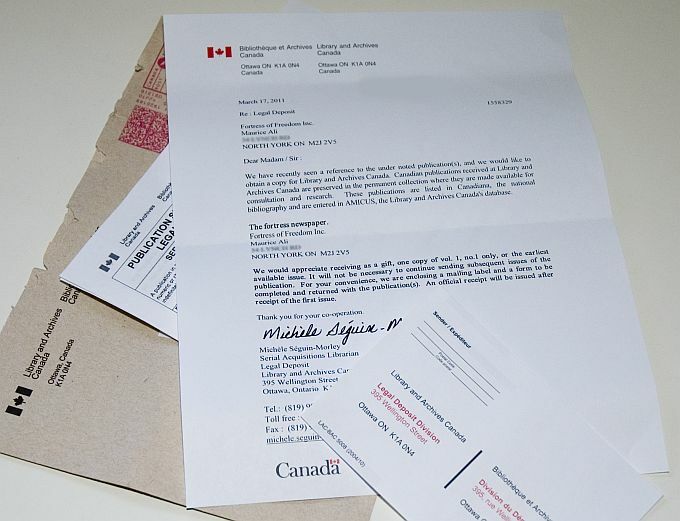 Archives Canada sent us the letter in the mail as you can see in the above photo. The letter arrived the week of March 21, 2011. The paper and scans and other information will be added to the archive's database and held forever as part of Canada's rich cultural mosaic. I would like to thank everyone who has ever been involved in the paper and we look forward to the printing of our next issue with much excitement as always!